Home /China, Government/Welfare, Work, and Poverty: How Effective is Social Assistance in China? China currently has the world’s largest social assistance program, the ‘Dibao,’ or Minimum Livelihood Guarantee. My new book, Welfare, Work, and Poverty: Social Assistance in China (Oxford University Press), provides a comprehensive evaluation of the performance of this program. How effective has it been in targeting the poor and alleviating poverty? Have Dibao recipients been dependent on welfare, or have they been able to move from welfare to work? How has the Dibao affected their consumption patterns and subjective well-being? And, what policy lessons can we learn from the existing evidence to strengthen and improve the Dibao system in the future? After its inception in 1993 in Shanghai, the Dibao system was implemented nationally in 1999 in urban areas and in 2007 in rural areas. The system is centrally regulated, but locally implemented, with local governments responsible for setting the assistance lines and committing a budget to this program. The central government transfers funds to localities that have limited fiscal capacity. As a strict means-tested program, the system targets low-wage families whose incomes fall below the local Dibao line in order to support their basic livelihood. Throughout its development, the Dibao has been shaped by economic and political forces and has remained true to its dual function of serving as a safety net for the poor and maintaining social control and political stability. Both urban and rural Dibao systems have undergone significant expansion in their thresholds, benefit levels, expenditures, population coverage, and the number of beneficiaries over the years. This expansion has been more rapid and dramatic in rural than in urban areas. However, the assistance standard remains low relative to average consumption levels. The Dibao’s fundamental role is as a last-resort, bare-minimum safety net programme. Overall the population coverage of the system in both urban and rural areas increased rapidly during the early stages of implementation, but in recent years has levelled off and has even declined. There exist substantial targeting errors in both the urban and rural Dibao system. With regard to population targeting, across urban and rural areas, significant numbers of eligible families were mistakenly excluded from receiving benefits, while others were mistargeted in Dibao coverage. The rural Dibao had more severe exclusion and mistargeting errors than its urban counterpart, indeed, urban benefits were concentrated more among the poor than in rural areas. Both urban and rural regions had significant benefit gaps as reflected by the large differences between the amount families were entitled to receive and the actual amount received. However, despite these errors and gaps, the Dibao’s targeting performance is actually better than in many other similar programmes around the world. Based on various poverty thresholds across urban and rural areas, the Dibao’s anti-poverty effectiveness is limited and at best modest, largely due to its targeting errors and gaps in benefit delivery. The system is more effective at reducing the depth and severity of poverty than lowering the poverty rate, and its anti-poverty effectiveness is greater among recipients than in the general population. The Dibao’s influence on reducing poverty is greater when a lower poverty threshold is used and smaller when a higher poverty threshold is applied. The system has had minimal impact on narrowing the income and inequality gap in society. 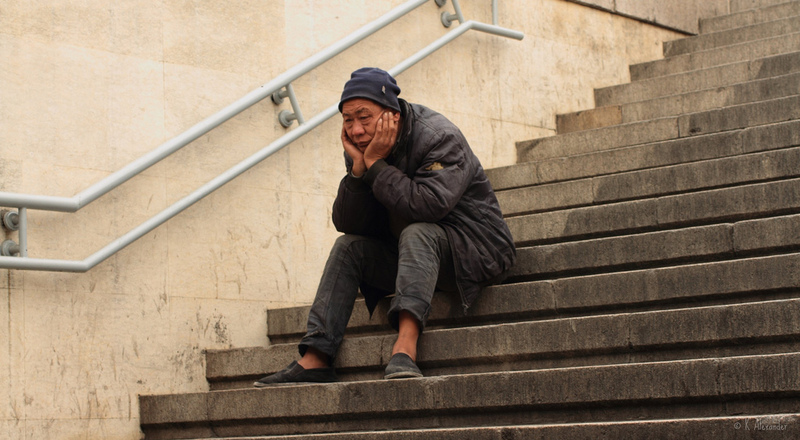 There are various barriers for Dibao recipients to move from welfare to work, leading many to be unwillingly labelled “welfare dependents.” These include limited employability due to poor health, low education, lack of skills, middle age and a long history of unemployment. Furthermore, lack of financial or social capital, family care responsibilities, lack of child and senior care services in the community, stigma from neighbours and local officials, and a series of policy design factors that deter work efforts are all contributing factors. Local governments have experimented with an array of welfare-to-work programs, ranging from punitive approaches to protective measures, including offering direct incentives for seeking and maintaining jobs and providing training and referrals. These initiatives, however, have not been systematically evaluated. The limited existing evidence shows that they are ineffective in helping Dibao recipients move from welfare to work. Often, high levels of expenditure are required for healthcare and education by many urban and rural Dibao families, especially those with children or members who have a severe or chronic disease. While Dibao benefits have enabled urban recipient families to spend more on both of these items, it has helped rural families pay for healthcare, but not education. Meeting survival needs does not appear to be a priority in the use of Dibao benefits for either urban or rural recipients, which suggests that these families may be maintaining a bare minimum level of livelihood while having to meet urgent health or education needs. In both urban and rural areas, receiving the Dibao is associated with reduced spending on leisure. Rural Dibao recipients spend less on alcohol, tobacco, gifts to others, and social insurance contributions; the same effect is either not found or has not been examined for urban recipients. Existing research also reveals some unintended associations between the Dibao and behavioural and subjective outcomes among both urban and rural recipients. Dibao recipients tend to live more isolated and detached lives and engage in less leisure and social activities than their non-recipient peers. The stigma, shame, and despair associated with receiving the Dibao and the poor outlook for improved income and social class may lead recipients to be unhappy and feel dissatisfied with their lives. There is also some evidence that receiving Dibao is associated with less time spent on education and work activities, echoing the many challenges faced by recipients in moving from welfare to work. What can be done to improve the Dibao system’s effectiveness? With regard to its policy design, improvements can be made to set higher assistance standards, raise benefit levels, broaden its population coverage, and revise its means testing procedures which tend to stigmatise recipients. The system’s implementation can be improved by offering more public education about Dibao, building a more professional team of administrators, and having greater involvement and collaboration with the non-governmental sector. The Dibao system’s performance can also be improved through greater coordination with other social welfare programs in order to make it fit more suitably within the rapidly expanding, broader social benefits system. The monitoring and evaluation of the Dibao system would benefit from more rigorous, better coordinated, longitudinal research studies examining multidimensional outcomes and joint efforts by interdisciplinary scholars, government officials, and international organisations. Qin Gao is Professor of Social Policy and Social Work and Director, China Centre for Social Policy at Columbia University. Image credit: CC by Kalexander2010/Flickr.